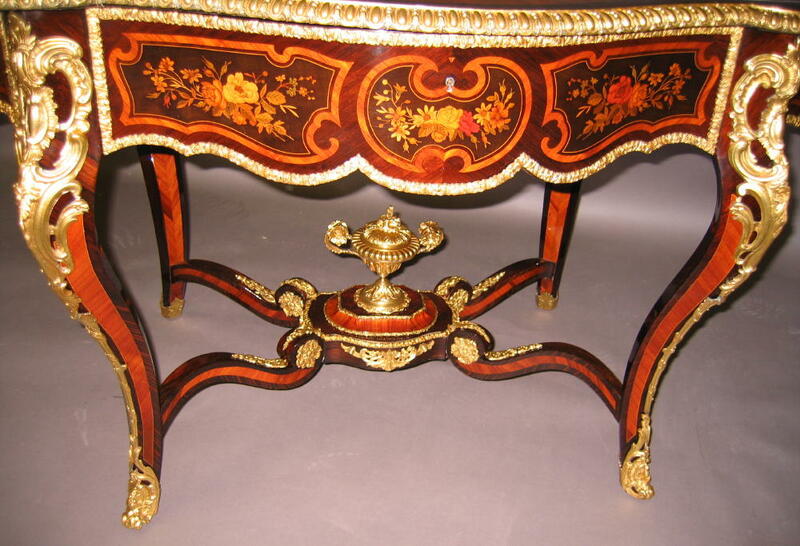 A Very Fine French 19th Century Louis XV Style Gilt-Bronze Mounted Tulipwood, Kingwood and Fruitwood Floral Marquetry Center Table with Drawer By Ébéniste Louis Gradé, Gradé et Pelcot, Paris. The lock signed: L. GRADÉ - Paris ~ R. Castex 9 Circa: 1870. The prized parisian ébéniste Louis Gradé is recorded from 1852 at 9, rue Castex, and later to a second address at 23, rue de la Paix in 1856, Rue Castex being most probably the workshop and Rue de la Paix his saleroom. The firm exhibited at the 1851 Exposition Universelle in London, and at the ones of 1855 and 1867 in Paris. 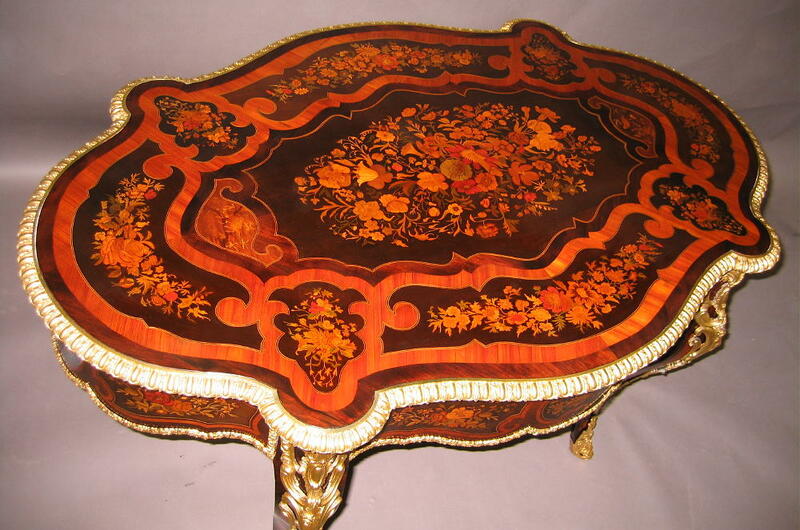 He obtained a mention honorable at the 1852 London Exhibition for a marqueted table. 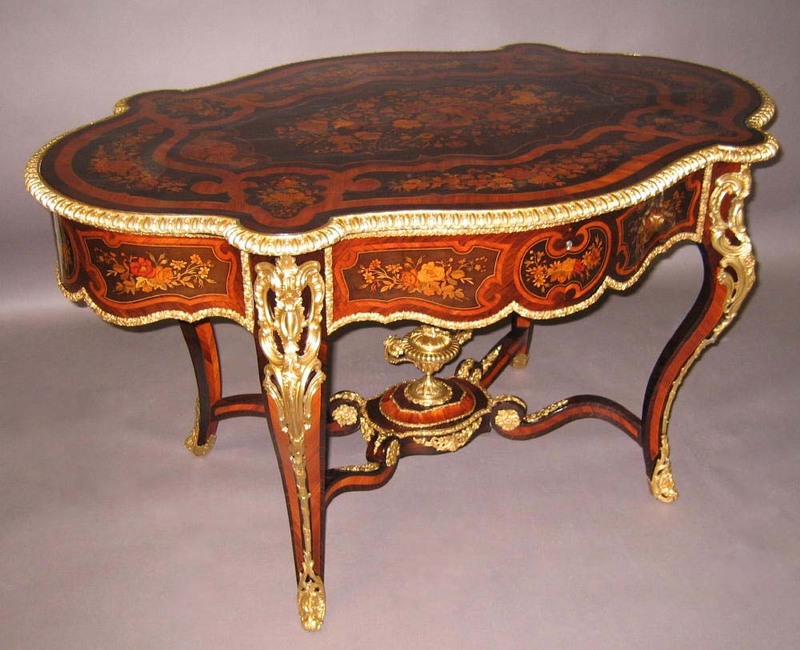 In 1866 the firm became registered as Louis GRADÉ ET PELCOT. See: Denise Ledoux-Lebard, Les Ébénistes du XIX Siècle, édition de l' amateur, Paris, 1984, pp.235, 236.